Despite the importance of terroir and technique, at its core, winemaking is a relatively simple process. Take the juice of grapes and let it sit until it ferments. In its most basic form, alcohol production can involve doing nothing at all (I know all the people who spend their lives making spontaneously fermented beverages will probably quibble with the notion that they don’t do anything, which is not the point—I’m just saying you can get booze by letting nature do a lot of the heavy lifting). But if you want to make good wine, that’s when more advanced methods come into play, and though some winemakers stand by traditional methods, others constantly look for the latest technology to make each vintage perfect. 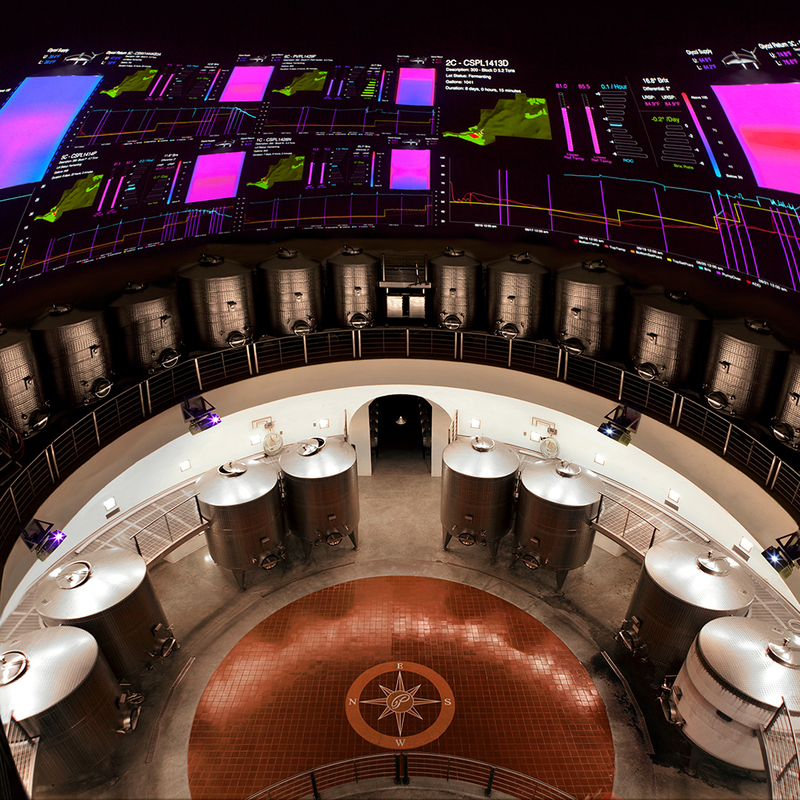 In one example, Wired recently looked at the high-tech methods employed by Palmaz Vineyards in Napa, California. They use what is called the Fermentation Intelligence Logic Control System, a system the utilizes submarine-industry technology called “sono-densitometry.” With the help of a “tuning-fork-like probe,” the system analyzes wine on a molecular level, tracking fermentation based on sugar and alcohol levels pulled from “millions of data points about the density of the liquid.” It even allows the winemakers to precision-control temperatures in different parts of the same tank. And as if that isn’t over-the-top enough, the system can also use geotagging to determine which winemaker is looking at the data at any given time, allowing for personal customization depending on who is doing the work. Of course, the question remains, do you really need submarine technology to make great wine? I’m guessing plenty of producers from both the Old World and the New would say it’s going above and beyond. But when you specialize in producing $100-plus bottles of Cabernet like Palmaz does, it probably doesn’t hurt to go heavy on the quality control—not just to protect the consumers, but your own bottom line as well. If you think having to dump a bottle of wine that’s gone bad is tough, imaging having to ditch an entire fermentation tank’s worth.